2019 Mr Redlegs bobblehead. Mr Redlegs in a throwback uniform. May 4th 2019 SGA. The main picture on the bench is not of the bobblehead. This is a limited edition collectible. 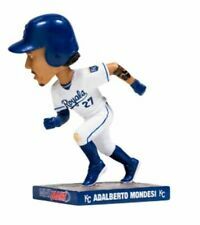 Great collectible for the ROYALS Bobblehead fan! INCLUDES a BONUS BASEBALL ITEM! LOCK UP YOURS NOW. St Louis Cardinal's 2018. MIKE SHANNON. The bobble stands approx. Box shows shelf wear. I have 14 nodders from when I was a child. I took painstaking care of these little guys even then. They look beautiful, as advertised, but when subjected to your little black light test, BOOM, there it is. Kendrys Morales Bobblehead MLB Kansas City Royals 2016 Kauffman Stadium . Shipped with USPS Priority Mail. Limited Edition New York Jets Incredible Hulk Bobblehead NIB. Got it from the stadium myself at the Vikings @ Jets game. Presenting four sets of kissing pair bobbleheads. All in terrific condition. See pictures. In Florida Swimsuit Orange and Lemon Pair. FOREVER Mike Mussina bobble head in the box. forever Mike Mussina bobble head in the box.. Shipped with USPS Priority Mail. Chicago Cubs Anthony Rizzo bobblehead handed out at Wrigley Field in 2013. 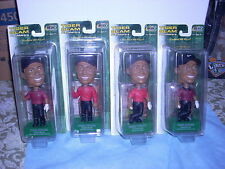 New Listing2009 SGA Ken Griffey Jr. BOBBLEHEAD SEATTLE MARINERS LIMITED EDITION Junior #24. I have 14 nodders from when I was a child. They had an entire wall of them. I took painstaking care of these little guys even then. I did however, carefully write the number 43 on the back of one of my several Phillies bobbin heads. New in the original box. Box is not in perfect condition. It shows some wear and minor damage but displays very well. Will combine shipping on multiple auctions won and paid at the same time. Please ask any questions BEFORE bidding. Bernie Williams Bobblehead New York Yankee sga 4/12/19. Shipped with USPS Priority Mail. Paul Goldschmidt mini (5") bobblehead 2017 New In Box. You are bidding on a Christian Yelich Bobblehead - Stadium Giveaway. This item comes in its original box and was a SGA a few years back. A great collectable for fans of the NL MVP. This also makes great for signatures. This item comes from a smoke free and pet free house. St Louis STL Cardinals Marcell Ozuna Mystery Jersey Bobblehead 5/24 - presale! AARON JUDGE YANKEES UNIVERSE LIMITED EDITION BOBBLEHEAD. Item is new in box, never been opened. The last two photos are of another, opened bobblehead. This is a unique item, only offered to Yankees Universe club members. Would make an excellent gift for any Yankees fan or Aaron Judge fan! 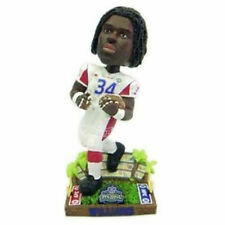 New in box Marshawn Lynch Bobblehead. Boomer Indiana Pacers Mascot Bobblehead Limited Edition. Shipped with USPS Priority Mail. ORIGINAL 1960's I believe Philadelphia Phillies baseball nodder in near mint condition. There are a couple of small spots on the hat that are lighter colored so they may have been colored in but not sure. 1960's White Square Base Bobble Head Nodder - Kansas City Athletics. Made in Japan. 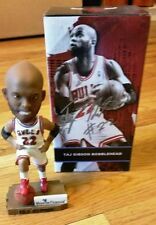 The bobblehead is in Very Good Plus Condition. St Louis Cardinals 2017 Ted Simmons Hall Of Fame Exclusive Bobblehead HOF New in box Shipped with USPS Priority Mail. **NEW Oakland Athletics A's Matt Chapman Bobblehead 4/20/19 SGA**. Shipped with USPS Priority Mail. My Favorite Mascot Los Angeles Dodgers Bobble Head VINTAGE RARE. Shipped with USPS Priority Mail. New Listing2009 SGA Ichiro Gold Glove BOBBLEHEAD SEATTLE MARINERS LIMITED EDITION MLB. 1960's Blue Square Base Bobble Head Nodder - Baltimore Colts - Gold NFL Decal. Made in Japan. 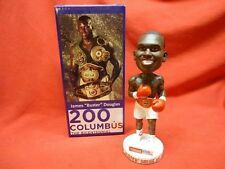 1960's Blue Square Base Bobble Head Nodder - Harlem Globetrotters. Made in Japan. New ListingSALVADOR PEREZ "Sal Solo" STAR WARS Bobblehead Kansas City Royals 2018 & BONUS! SALVADOR Perez "Sal Solo" STAR WARS. 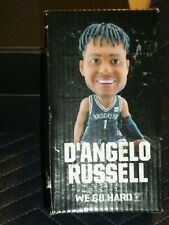 5/4 SGA Bobblehead. ALSO will INCLUDE a BONUS BASEBALL ITEM! This version is known as Googly Eyes or Blinky Eyes and are available in 4 different characters. There is a pitcher, catcher, batter and umpire. The umpire seems to be slightly more expensive then the other three. 2009 SGA Ichiro Gold Glove BOBBLEHEAD SEATTLE MARINERS LIMITED EDITION MLB. SALVADOR PEREZ "Sal Solo" STAR WARS Bobblehead Kansas City Royals 2018 & BONUS!